Before we part with, we deem it necessary to make certain comments on the procedure contained in the arbitration agreement for constituting the arbitral tribunal. Even when there are number of persons empaneled, discretion is with the DMRC to pick five persons therefrom and forward their names to the other side which is to select one of these five persons as its nominee (Though in this case, it is now done away with). Not only this, the DMRC is also to nominate its arbitrator from the said list. Above all, the two arbitrators have also limited choice of picking upon the third arbitrator from the very same list, i.e., from remaining three persons. This procedure has two adverse consequences. In the first place, the choice given to the opposite party is limited as it has to choose one out of the five names that are forwarded by the other side. There is no free choice to nominate a person out of the entire panel prepared by the DMRC. Secondly, with the discretion given to the DMRC to choose five persons, a room for suspicion is created in the mind of the other side that the DMRC may have picked up its own favourites. Such a situation has to be countenanced. We are, therefore, of the opinion that sub-clauses (b) & (c) of clause 9.2 of SCC need to be deleted and instead choice should be given to the parties to nominate any person from the entire panel of arbitrators. Likewise, the two arbitrators nominated by the parties should be given full freedom to choose third arbitrator from the whole panel. 29. Some comments are also needed on the clause 9.2(a) of the GCC/SCC, as per which the DMRC prepares the panel of ‘serving or retired engineers of government departments or public sector undertakings’. It is not understood as to why the panel has to be limited to the aforesaid category of persons. Keeping in view the spirit of the amended provision and in order to instil confidence in the mind of the other party, it is imperative that panel should be broad based. Apart from serving or retired engineers of government departments and public sector undertakings, engineers of prominence and high repute from private sector should also be included. Likewise panel should comprise of persons with legal background like judges and lawyers of repute as it is not necessary that all disputes that arise, would be of technical nature. There can be disputes involving purely or substantially legal issues, that too, complicated in nature. Likewise, some disputes may have the dimension of accountancy etc. 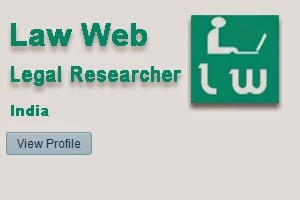 Therefore, it would also be appropriate to include persons from this field as well. 30. Time has come to send positive signals to the international business community, in order to create healthy arbitration environment and conducive arbitration culture in this country. Further, as highlighted by the Law Commission also in its report, duty becomes more onerous in Government contracts, where one of the parties to dispute is the Government or public sector undertaking itself and the authority to appoint the arbitrator rests with it. In the instant case also, though choice is given by DMRC to the opposite party but it is limited to choose an arbitrator from the panel prepared by the DMRC. It, therefore, becomes imperative to have a much broad based panel, so that there is no misapprehension that principle of impartiality and independence would be discarded at any stage of the proceedings, specially at the stage of constitution of the arbitral tribunal. We, therefore, direct that DMRC shall prepare a broad based panel on the aforesaid lines, within a period of two months from today. M/s. Voestalpine Schienen GMBH v.
Delhi Metro Rail Corporation Ltd. .
A.K. Sikri, J.:— The petitioner, which is a Company incorporated under the laws of Austria, with its registered office in that country, has its branch office in DLF City, Gurgaon, Phase-II, India as well. It is engaged, inter alia, in the business of steel production with the use of advance technology, like Rolling Technology and Heat Treatment Technology, as well as manufacturing, producing and supplying rails and related products. It claims to be a European market leader and innovation pioneer with a worldwide reputation which has played a decisive role in the development of modern railway rails. The respondent, Delhi Metro Rail Corporation Ltd. (DMRC) awarded the contract dated 12th August, 2013 to the petitioner for supply of rails. Certain disputes have arisen between the parties with regard to the said contract inasmuch as the petitioner feels that respondent has wrongfully withheld a sum of euro 5,31,276/- (Euro Five Lakhs Thirty One Thousand Two Hundred and Seventy Six only) towards invoices raised for supply of last lot of 3000 MT of rails and has also illegally encashed performance bank guarantees amounting to EURO 7,83,200/- (Euro Seven Lakhs Eighty Three Thousand Two Hundred only). Respondent has also imposed liquidated damages amounting to EURO 4,00,129.397/- (Euro Four Hundred Thousand One Hundred Twenty Nine and Cent Three Hundred Ninety Seven Only) and invoked price variation clause to claim a deposit of EURO 4,87,830/- (Euro Four Lakhs Eighty Seven Thousand Eight Hundred Thirty). Not satisfied with the performance of the petitioner, the respondent has suspended the business dealings with the petitioner for the period of six months. The petitioner feels aggrieved by all the aforesaid actions and wants its claims to be adjudicated upon by an Arbitral Tribunal, having regard to the arbitration agreement between the parties as contained in Clause 9.2 of General Conditions of Contract (GCC) read with Clause 9.2 of Special Conditions of Contract (SCC). 2. It may be pointed out, at the outset, that arbitration agreement between the parties, as contained in the aforesaid clause of the contract is not in dispute. It may also be pointed out that Clause 9.2(A) of the SCC prescribes a particular procedure for constitution of the Arbitral Tribunal which, inter alia, stipulates that the respondent shall forward names of five persons from the panel maintained by the respondent and the petitioner will have to choose his nominee arbitrator from the said panel. As per the events mentioned in detail hereinafter, the respondent had, in fact, furnished the names of five such persons to the petitioner with a request to nominate its arbitrator from the said panel. However, it is not acceptable to the petitioner as the petitioner feels that the panel prepared by the respondent consists of serving or retired engineers either of respondent or of Government Department or Public Sector Undertakings who do not qualify as independent arbitrators. According to the petitioner, with the amendment of Section 12 of the Arbitration and Conciliation Act, 1996 (hereinafter referred to as the ‘Act’) such a panel, by Amendment Act, 2015, as prepared by the respondent, has lost its validity, as it is contrary to the amended provisions of Section 12 of the Act. For this reason, the petitioner has preferred the instant petition under Section 11(6) read with Section 11(8) of the Act for appointment of sole arbitrator/arbitral tribunal under Clause 9.2 of GCC read with Clause 9.2 of SCC of the Contract dated August 12, 2013. 3. With the aforesaid preliminary introduction reflecting the nature of these proceedings, we may take note of the relevant and material facts in some detail. 4. Around January, 2013, the respondent had floated a tender for the procurement of 8000 Metric Tons (MT) “Head Hardened Rails of certain specifications for Delhi Metro, Phase-III projects and invited bids from the eligible bidders. The petitioner was one such bidder whose bid was ultimately accepted after tender evaluation process undertaken by the respondent. It resulted in the signing of contract agreement dated August 12, 2013 between the parties for the supply of the aforesaid material. As per the petitioner, it has duly delivered the rails in three lots of 3000MT, 3000MT and 2000MT rails on January 13, 2014, January 19, 2014 and August 03, 2014 respectively at sea port at Mumbai, which delivery, according to the petitioner, was well within the agreed time limits. However, after the delivery of the aforesaid rails at Mumbai, inland transport thereof from Mumbai to Respondent's depots at Delhi was delayed due to various reasons. As per the petitioner, these reasons are not attributed to it and it cannot be faulted for the same. However, the respondent treated it as default on the part of the petitioner and imposed liquidated damages vide its letter dated September 21, 2015. The respondent also called upon the petitioner to submit its final bill so that the liquidated damages could be set off against the said bill. This was the starting point of dispute between the parties, as the petitioner refuted the allegations of the respondent and questioned the imposition of liquidated damages as well as calculations thereof. Correspondence ensued and exchanged between the parties but it may not be necessary to state the same in detail here as that would be the subject matter of adjudication before the arbitral tribunal. Suffice it to state that respondents also encashed the bank guarantee and raised claims against the petitioner as balance amount due from the petitioner. On the other hand, the petitioner states that it is the respondent which has to pay substantial amounts to the petitioner and a glimpse of the claims of the petitioner has already been indicated above. 5. One thing is clear, there are disputes between the parties giving rise to claims and counter claims against each other and these pertain to and arise out of contract dated August 12, 2013. In view of these disputes and after receipt of communication dated April 28, 2016 whereby respondent had taken a decision to suspend business dealings with the petitioner for a period of six months, and feeling aggrieved thereby, the petitioner issued a legal notice dated May 11, 2016 through his advocates calling upon the respondent to withdraw the suspension orders with a threat to resort to legal proceedings if the same was not done within a period of seven days. The respondent did not succumb to the said demand and this inaction provoked the petitioner to approach the High Court by filing Writ Petition no. 5439 of 2016 challenging respondent's action of suspending business with the petitioner. In this petition, order dated June 03, 2016 has been passed by the Delhi High Court thereby directing the respondent to keep its decision of suspension with the petitioner, in abeyance. 6. The petitioner states that thereafter it invoked the dispute resolution clause and made efforts to amicably resolve the dispute. However, the said attempt failed and on June 14, 2016, the petitioner invoked the arbitration clause. 7. At this juncture, we would like to reproduce Clause 9.2 of GCC as well as Clause 9.2 of SCC. The Arbitration and Conciliation Act - 1996 of India shall be - applicable. Purchaser and the supplier shall make every necessary effort to resolve amicably by direct and informal negotiation any disagreement or dispute arising between them under or in connection with contract. 8. As per the aforesaid procedure, having regard to the quantum of claims and counter claims, three arbitrators are to constitute the arbitral tribunal. The agreement further provides that respondent would make out a panel of engineers with the requisite qualifications and professional experience, which panel will be of serving or retired engineers of government departments or public sector undertakings. From this panel, the respondent has to give a list of five engineers to the petitioner and both the petitioner and the respondent are required to choose one arbitrator each from the said list. The two arbitrators so chosen have to choose the third arbitrator from that very list, who shall act as the presiding arbitrator. 9. In the letter dated June 14, 2016, addressed by the petitioner to the respondent while invoking arbitration, the petitioner took the stand that appointment of the arbitral tribunal as per the aforesaid clause from a panel of five persons comprising of serving or retired engineers of government departments or public sector undertakings, if followed, would lead to appointment of ‘ineligible persons’ being appointed as arbitrators, in view of Section 12(5) of the Act read with Clause 1 of Seventh Schedule to the same Act. The petitioner, thus, nominated a retired judge of this Court as a sole arbitrator and requested the respondent for its consent. 10. The respondent, vide its letter dated July 08, 2016, stuck to the procedure as prescribed for the arbitration clause and asked the petitioner to nominate an arbitrator from the panel of five persons which it forwarded to the petitioner. Thereafter vide letter dated July 19, 2016, the respondent appointed one person as its nominee arbitrator from the said list of five persons who is a retired officer from Indian Railway Service of Engineers (IRSE) and called upon the petitioner to appoint its nominee arbitrator from the remaining panel of four persons. At this juncture, on August 17, 2016 present petition under Section 11 of the Act was filed by the petitioner for constitution of the arbitral tribunal by this Court with the prayer that the arbitrator nominated by the petitioner (i.e. a former Judge of this Court) should be appointed as the sole arbitrator if the respondent consents to it or any impartial and independent sole arbitrator if appointment of the petitioner's nominee is objected to by the respondent. Alternate prayer is made for appointment of an independent and impartial arbitral tribunal comprising of three members under Section 11(6) read with Section 11(8) of the Act for adjudication of the disputes between the parties. 11. The respondents have contested the petition by filing its detailed reply, inter alia, taking upon the position that in view of the specific agreement between the parties containing arbitration clause, which prescribes the manner in which arbitral tribunal is to be constituted, present petition under Section 11(6) of the Act is not even maintainable. The respondent maintains that arbitration agreement as per which arbitral tribunal is to be constituted from the panel prepared by the respondent does not offend provisions of Section 12 of the Act as maintained in the year 2015. It is submitted that the agreement valid, operative and capable of being performed and the arbitrators proposed by the respondent are not falling in the category of ‘prohibited clause’ as stipulated in under Section 12(5) of the Act read with clause 1 of the 7th Schedule thereto. As per the respondent, since the arbitration involves adjudication of technical aspects, the respondents have proposed the panel of retired engineers of the government having requisite expertise to arbitrate the sub-matter. They are neither serving nor past employees of the DMRC and have no direct or indirect relations with the DMRC. Therefore, they are capable of arbitrating the subject matter without compromising their independence and impartiality. 12. In support of the aforesaid plea taken in the petition, Mr. Gopal Jain, learned senior counsel appearing for the petitioner submitted that the entire ethos and spirit behind the amendment in Section 12 by Amendment Act, 2015 were to ensure that the arbitral tribunal consists of totally independent arbitrators and not those persons who are connected with the other side, even remotely. He submitted that Respondent No. 1, i.e., DMRC was public sector undertaking which had all the trappings of the Government and, therefore, even those persons who were not in the employment of DMRC, but in the employment of Central Government or other Government body/public sector undertakings should not be permitted to act as arbitrators. He submitted that the very fact that the panel of the arbitrator consisted only of ‘serving or retired engineers of Government departments or public sector undertaking’ defied the neutrality aspect as they had direct or indirect nexus/privity with the respondent and the petitioner had reasonable apprehension of likelihood of bias on the part of such persons appointed as arbitrators, who were not likely to act in an independent and impartial manner. 13. Mr. Mukul Rohatgi, learned Attorney General justifying the stand taken by the respondent, with the aid of the provisions of the Act and the case law, also drew attention to a subsequent development. He pointed out that though in its earlier letter dated July 8, 2016 addressed by the respondent to the petitioner, a list of persons was given asking the petitioner to choose its arbitrator therefrom, the respondent has now forwarded to the petitioner the entire panel of arbitrator maintained by it. This fresh list contains as many as 31 names and, therefore, a wide choice is given to the petitioner to nominate its arbitrator therefrom. It was further pointed out that many panelists were the retired officers from Indian Railways who retired from high positions and were also having high degree of technical qualifications and experience. The said list included five persons who were not from railways at all but were the ex-officers of the other bodies like, Delhi Development Authority (DDA) and Central Public Works Department (CPWD). No one was serving or ex-employee of the DMRC. He further submitted that merely because these person had served in railways or other government departments, would not impinge upon their impartiality. 14. From the stand taken by the respective parties and noted above, it becomes clear that the moot question is as to whether panel of arbitrators prepared by the respondent violates the amended provisions of Section 12 of the Act. Sub-section (1) and sub-section (5) of Section 12 as well as Seventh Schedule to the Act which are relevant for our purposes, may be reproduced below. Explanation 1.—The grounds stated in the Fifth Schedule shall guide in determining whether circumstances exist which give rise to justifiable doubts as to the independence or impartiality of an arbitrator. 15. It is a well known fact that the Arbitration and Conciliation Act, 1996 was enacted to consolidate and amend the law relating to domestic arbitration, inter alia, commercial arbitration and enforcement of foreign arbitral awards etc. It is also an accepted position that while enacting the said Act, basic structure of UNCITRAL Model Law was kept in mind. This became necessary in the wake of globalization and the adoption of policy of liberlisation of Indian economy by the Government of India in the early 90s. This model law of UNCITRAL provides the framework in order to achieve, to the maximum possible extent, uniform approach to the international commercial arbitration. Aim is to achieve convergence in arbitration law and avoid conflicting or varying provisions in the arbitration Acts enacted by various countries. Due to certain reasons, working of this Act witnessed some unpleasant developments and need was felt to smoothen out the rough edges encountered thereby. The Law Commission examined various shortcomings in the working of this Act and in its first Report, i.e, 176th Report made various suggestions for amending certain provisions of the Act. This exercise was again done by the Law Commission of India in its Report No. 246 in August, 2004 suggesting sweeping amendments touching upon various facets and acting upon most of these recommendations, Arbitration Amendment Act of 2015 was passed which came into effect from October 23, 2015. 53. It is universally accepted that any quasi-judicial process, including the arbitration process, must be in accordance with principles of natural justice. In the context of arbitration, neutrality of arbitrators, viz. their independence and impartiality, is critical to the entire process. 55. The Act does not lay down any other conditions to identify the “circumstances” which give rise to “justifiable doubts”, and it is clear that there can be many such circumstances and situations. The test is not whether, given the circumstances, there is any actual bias for that is setting the bar too high; but, whether the circumstances in question give rise to any justifiable apprehensions of bias. 56. The limits of this provision has been tested in the Indian Supreme Court in the context of contracts with State entities naming particular persons/designations (associated with that entity) as a potential arbitrator. It appears to be settled by a series of decisions of the Supreme Court (See Executive Engineer, Irrigation Division, Puri v. Gangaram Chhapolia, (1984) 3 SCC 627;Secretary to Government Transport Department, Madras v. Munusamy Mudaliar,1988 Supp SCC 651; International Authority of India v. K.D. Bali, (1988) 2 SCC 360;S. Rajan v. State of Kerala, (1992) 3 SCC 608; Indian Drugs & Pharmaceuticals v.Indo-Swiss Synthetics Germ Manufacturing Co. Ltd., (1996) 1 SCC 54; Union of India v. M.P. Gupta, (2004) 10 SCC 504; Ace Pipeline Contract Pvt. Ltd. v. Bharat Petroleum Corporation Ltd., (2007) 5 SCC 304) that arbitration agreements in government contracts which provide for arbitration by a serving employee of the department, are valid and enforceable. While the Supreme Court, in Indian Oil Corp. Ltd. v. Raja Transport (P) Ltd., (2009) 8 SCC 520 carved out a minor exception in situations when the arbitrator “was the controlling or dealing authority in regard to the subject contract or if he is a direct subordinate (as contrasted from an officer of an inferior rank in some other department) to the officer whose decision is the subject matter of the dispute”, and this exception was used by the Supreme Court in Denel Propreitory Ltd. v. Govt. of India, Ministry of Defence, (2012) 2 SCC 759 : AIR 2012 SC 817 and Bipromasz Bipron Trading SA v. Bharat Electronics Ltd., (2012) 6 SCC 384, to appoint an independent arbitrator under section 11, this is not enough. 57. The balance between procedural fairness and binding nature of these contracts, appears to have been tilted in favour of the latter by the Supreme Court, and the Commission believes the present position of law is far from satisfactory. Since the principles of impartiality and independence cannot be discarded at any stage of the proceedings, specifically at the stage of constitution of the arbitral tribunal, it would be incongruous to say that party autonomy can be exercised in complete disregard of these principles - even if the same has been agreed prior to the disputes having arisen between the parties. There are certain minimum levels of independence and impartiality that should be required of the arbitral process regardless of the parties' apparent agreement. A sensible law cannot, for instance, permit appointment of an arbitrator who is himself a party to the dispute, or who is employed by (or similarly dependent on) one party, even if this is what the parties agreed.The Commission hastens to add that Mr. PK Malhotra, the ex officio member of the Law Commission suggested having an exception for the State, and allow State parties to appoint employee arbitrators. The Commission is of the opinion that, on this issue, there cannot be any distinction between State and non-State parties. The concept of party autonomy cannot be stretched to a point where it negates the very basis of having impartial and independent adjudicators for resolution of disputes. In fact, when the party appointing an adjudicator is the State, the duty to appoint an impartial and independent adjudicator is that much more onerous - and the right to natural justice cannot be said to have been waived only on the basis of a “prior” agreement between the parties at the time of the contract and before arising of the disputes. 58. Large scale amendments have been suggested to address this fundamental issue of neutrality of arbitrators, which the Commission believes is critical to the functioning of the arbitration process in India. In particular, amendments have been proposed to sections 11, 12 and 14 of the Act. 59. The Commission has proposed the requirement of having specific disclosures by the arbitrator, at the stage of his possible appointment, regarding existence of any relationship or interest of any kind which is likely to give rise to justifiable doubts. The Commission has proposed the incorporation of the Fourth Schedule, which has drawn from the Red and Orange lists of the IBA Guidelines on Conflicts of Interest in International Arbitration, and which would be treated as a “guide” to determine whether circumstances exist which give rise to such justifiable doubts. On the other hand, in terms of the proposed section 12(5) of the Act and the Fifth Schedule which incorporates the categories from the Red list of the IBA Guidelines (as above), the person proposed to be appointed as an arbitrator shall be ineligible to be so appointed, notwithstanding any prior agreement to the contrary. In the event such an ineligible person is purported to be appointed as an arbitrator, he shall be de jure deemed to be unable to perform his functions, in terms of the proposed explanation to section 14. Therefore, while the disclosure is required with respect to a broader list of categories (as set out in the Fourth Schedule, and as based on the Red and Orange lists of the IBA Guidelines), the ineligibility to be appointed as an arbitrator (and the consequent de jure inability to so act) follows from a smaller and more serious sub-set of situations (as set out in the Fifth Schedule, and as based on the Red list of the IBA Guidelines). 17. We may put a note of clarification here. Though, the Law Commission discussed the aforesaid aspect under the heading “Neutrality of Arbitrators”, the focus of discussion was on impartiality and independence of the arbitrators which has relation to or bias towards one of the parties. In the field of international arbitration, neutrality is generally related to the nationality of the arbitrator. In international sphere, the ‘appearance of neutrality’ is considered equally important, which means that an arbitrator is neutral if his nationality is different from that of the parties. However, that is not the aspect which is being considered and the term ‘neutrality’ used is relatable to impartiality and independence of the arbitrators, without any bias towards any of the parties. In fact, the term ‘neutrality of arbitrators’ is commonly used in this context as well. 18. Keeping in mind the afore-quoted recommendation of the Law Commission, with which spirit, Section 12 has been amended by the Amendment Act, 2015, it is manifest that the main purpose for amending the provision was to provide for neutrality of arbitrators. In order to achieve this, sub-section (5) of Section 12 lays down that notwithstanding any prior agreement to the contrary, any person whose relationship with the parties or counsel or the subject matter of the dispute falls under any of the categories specified in the Seventh Schedule, he shall be ineligible to be appointed as an arbitrator. In such an eventuality, i.e., when the arbitration clause finds foul with the amended provisions extracted above, the appointment of an arbitrator would be beyond pale of the arbitration agreement, empowering the court to appoint such arbitrator(s) as may be permissible. That would be the effect ofnon-obstante clause contained in sub-section (5) of Section 12 and the other party cannot insist on appointment of the arbitrator in terms of arbitration agreement. “6. The ‘classical notion’ that the High Court while exercising its power under Section 11 of the Arbitration and Conciliation Act, 1996 (hereinafter for short ‘the Act’) must appoint the arbitrator as per the contract between the parties saw a significant erosion in ACE Pipeline Contracts (P) Ltd. v. Bharat Petroleum Corpn. Ltd. [(2007) 5 SCC 304], wherein this Court had taken the view that though the contract between the parties must be adhered to, deviations therefrom in exceptional circumstances would be permissible. A more significant development had come in a decision that followed soon thereafter in Union of India v. Bharat Battery Mfg. Co. (P) Ltd. [(2007) 7 SCC 684] wherein following a three-Judge Bench decision in Punj Lloyd Ltd. v.Petronet MHB Ltd. [Punj Lloyd Ltd. v. Petronet MHB Ltd., (2006) 2 SCC 638], it was held that once an aggrieved party files an application under Section 11(6) of the Act to the High Court, the opposite party would lose its right of appointment of the arbitrator(s) as per the terms of the contract. The implication that the Court would be free to deviate from the terms of the contract is obvious. ‘48. (vi) The Chief Justice or his designate while exercising power under sub-section (6) of Section 11 shall endeavour to give effect to the appointment procedure prescribed in the arbitration clause. 8. The above discussion will not be complete without reference to the view of this Court expressed in Union of India v. Singh Builders Syndicate [Union of India v. Singh Builders Syndicate, (2009) 4 SCC 523 : (2009) 2 SCC (Civ) 246], wherein the appointment of a retired Judge contrary to the agreement requiring appointment of specified officers was held to be valid on the ground that the arbitration proceedings had not concluded for over a decade making a mockery of the process. In fact, in para 25 of the Report in Singh Builders Syndicate [Union of India v. Singh Builders Syndicate, (2009) 4 SCC 523 : (2009) 2 SCC (Civ) 246] this Court had suggested that the Government, statutory authorities and government companies should consider phasing out arbitration clauses providing for appointment of serving officers and encourage professionalism in arbitration. (a) The first pillar: Three general principles. (b) The second pillar: The general duty of the Tribunal. (c) The third pillar: The general duty of the parties. (d) The fourth pillar: Mandatory and semi-mandatory provisions. Section 1 of the Act sets forth the three main principles of arbitration law viz. (i) speedy, inexpensive and fair trial by an impartial tribunal; (ii) party autonomy; and (iii) minimum court intervention. This provision has to be applied purposively. In case of doubt as to the meaning of any provision of this Act, regard should be had to these principles. 15. In the book O.P. Malhotra on the Law and Practice of Arbitration and Conciliation (3rd Edn. revised by Ms. Indu Malhotra), it is rightly observed that the Indian Arbitration Act is also based on the aforesaid four foundational pillars. 16. First and paramount principle of the first pillar is “fair, speedy and inexpensive trial by an Arbitral Tribunal”. 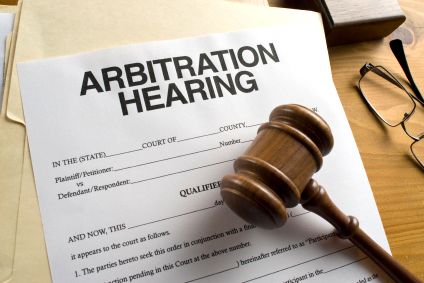 Unnecessary delay or expense would frustrate the very purpose of arbitration. Interestingly, the second principle which is recognised in the Act is the party autonomy in the choice of procedure. This means that if a particular procedure is prescribed in the arbitration agreement which the parties have agreed to, that has to be generally resorted to. It is because of this reason, as a normal practice, the court will insist the parties to adhere to the procedure to which they have agreed upon. This would apply even while making the appointment of substitute arbitrator and the general rule is that such an appointment of a substitute arbitrator should also be done in accordance with the provisions of the original agreement applicable to the appointment of the arbitrator at the initial stage. [See Yashwith Constructions (P) Ltd. v. Simplex Concrete Piles India Ltd. [(2006) 6 SCC 204] However, this principle of party autonomy in the choice of procedure has been deviated from in those cases where one of the parties have committed default by not acting in accordance with the procedure prescribed. Many such instances where this course of action is taken and the Court appoint the arbitrator when the persona designata has failed to act, are taken note of in paras 6 and 7 of Tripple Engg. Works [North Eastern Railway v. Tripple Engg. Works, (2014) 9 SCC 288 : (2014) 5 SCC (Civ) 30]. We are conscious of the fact that these were the cases where appointment of the independent arbitrator made by the Court in exercise of powers under Section 11 of account of “default procedure”. We are, in the present case, concerned with the constitution of substitute Arbitral Tribunal where earlier Arbitral Tribunal has failed to perform. However, the above principle of default procedure is extended by this Court in such cases as well as is clear from the judgment in Singh Builders Syndicate [Union of India v. Singh Builders Syndicate, (2009) 4 SCC 523 : (2009) 2 SCC (Civ) 246]. 24. Keeping in view the aforesaid parameters, we advert to the facts of this case. Various contingencies mentioned in the Seventh Schedule render a person ineligible to act as an arbitrator. Entry no. 1 is highlighted by the learned counsel for the petitioner which provides that where the arbitrator is an employee, consultant, advisor or has any other past or present business relationship with the party, would not act as an arbitrator. What was argued by the learned senior counsel for the petitioner was that the panel of arbitrators drawn by the respondent consists of those persons who are government employees or ex-government employees. However, that by itself may not make such persons ineligible as the panel indicates that these are the persons who have worked in the railways under the Central Government or Central Public Works Department or public sector undertakings. They cannot be treated as employee or consultant or advisor of the respondent - DMRC. If this contention of the petitioner is accepted, then no person who had earlier worked in any capacity with the Central Government or other autonomous or public sector undertakings, would be eligible to act as an arbitrator even when he is not even remotely connected with the party in question, like DMRC in this case. The amended provision puts an embargo on a person to act as an arbitrator, who is the employee of the party to the dispute. It also deprives a person to act as an arbitrator if he had been the consultant or the advisor or had any past or present business relationship with DMRC. No such case is made out by the petitioner. 25. Section 12 has been amended with the objective to induce neutrality of arbitrators, viz., their independence and impartiality. The amended provision is enacted to identify the ‘circumstances’ which give rise to ‘justifiable doubts’ about the independence or impartiality of the arbitrator. If any of those circumstances as mentioned therein exists, it will give rise to justifiable apprehension of bias. The Fifth Schedule to the Act enumerates the grounds which may give rise to justifiable doubts of this nature. Likewise, Seventh Schedule mentions those circumstances which would attract the provisions of sub-section (5) of Section 12 and nullify any prior agreement to the contrary. 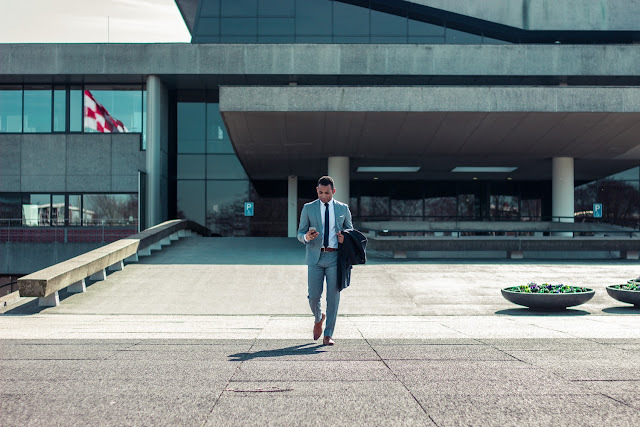 In the context of this case, it is relevant to mention that only if an arbitrator is an employee, a consultant, an advisor or has any past or present business relationship with a party, he is rendered ineligible to act as an arbitrator. Likewise, that person is treated as incompetent to perform the role of arbitrator, who is a manager, director or part of the management or has a single controlling influence in an affiliate of one of the parties if the affiliate is directly involved in the matters in dispute in the arbitration. Likewise, persons who regularly advised the appointing party or affiliate of the appointing party are incapacitated. A comprehensive list is enumerated in Schedule 5 and Schedule 7 and admittedly the persons empaneled by the respondent are not covered by any of the items in the said list. 26. It cannot be said that simply because the person is retired officer who retired from the government or other statutory corporation or public sector undertaking and had no connection with DMRC (party in dispute), he would be treated as ineligible to act as an arbitrator. Had this been the intention of the legislature, the Seventh Schedule would have covered such persons as well. Bias or even real likelihood of bias cannot be attributed to such highly qualified and experienced persons, simply on the ground that they served the Central Government or PSUs, even when they had no connection with DMRC. The very reason for empaneling these persons is to ensure that technical aspects of the dispute are suitably resolved by utilising their expertise when they act as arbitrators. It may also be mentioned herein that the Law Commission had proposed the incorporation of the Schedule which was drawn from the red and orange list of IBA guidelines on conflict of interest in international arbitration with the observation that the same would be treated as the guide ‘to determine whether circumstances exist which give rise to such justifiable doubts’. Such persons do not get covered by red or orange list of IBA guidelines either. 27. As already noted above, DMRC has now forwarded the list of all 31 persons on its panel thereby giving a very wide choice to the petitioner to nominate its arbitrator. They are not the employees or ex-employees or in any way related to the DMRC. In any case, the persons who are ultimately picked up as arbitrators will have to disclose their interest in terms of amended provisions of Section 12 of the Act. We, therefore, do not find it to be a fit case for exercising our jurisdiction to appoint and constitute the arbitral tribunal. 28. Before we part with, we deem it necessary to make certain comments on the procedure contained in the arbitration agreement for constituting the arbitral tribunal. Even when there are number of persons empaneled, discretion is with the DMRC to pick five persons therefrom and forward their names to the other side which is to select one of these five persons as its nominee (Though in this case, it is now done away with). Not only this, the DMRC is also to nominate its arbitrator from the said list. Above all, the two arbitrators have also limited choice of picking upon the third arbitrator from the very same list, i.e., from remaining three persons. This procedure has two adverse consequences. In the first place, the choice given to the opposite party is limited as it has to choose one out of the five names that are forwarded by the other side. There is no free choice to nominate a person out of the entire panel prepared by the DMRC. Secondly, with the discretion given to the DMRC to choose five persons, a room for suspicion is created in the mind of the other side that the DMRC may have picked up its own favourites. Such a situation has to be countenanced. We are, therefore, of the opinion that sub-clauses (b) & (c) of clause 9.2 of SCC need to be deleted and instead choice should be given to the parties to nominate any person from the entire panel of arbitrators. Likewise, the two arbitrators nominated by the parties should be given full freedom to choose third arbitrator from the whole panel. 31. Subject to the above, insofar as present petition is concerned, we dismiss the same, giving two weeks' time to the petitioner to nominate its arbitrator from the list of 31 arbitrators given by the respondent to the petitioner. 9 FOUCHARD, GAILLARD, GOLDMAN ON INTERNATIONAL COMMERCIAL ARBITRATION 575 (Emmanuel Gaillard & John Savage eds., 1999) (quoting Cour de cassation [Cass.] [supreme court for judicial matters] 2e civ., Apr. 13, 1972, JCP 1972, II, 17189 (Fr. )).